Tropical Storm Erica, shown here on March 5, 2003, never turned into a major storm in its brief 3-day life (March 4-6). 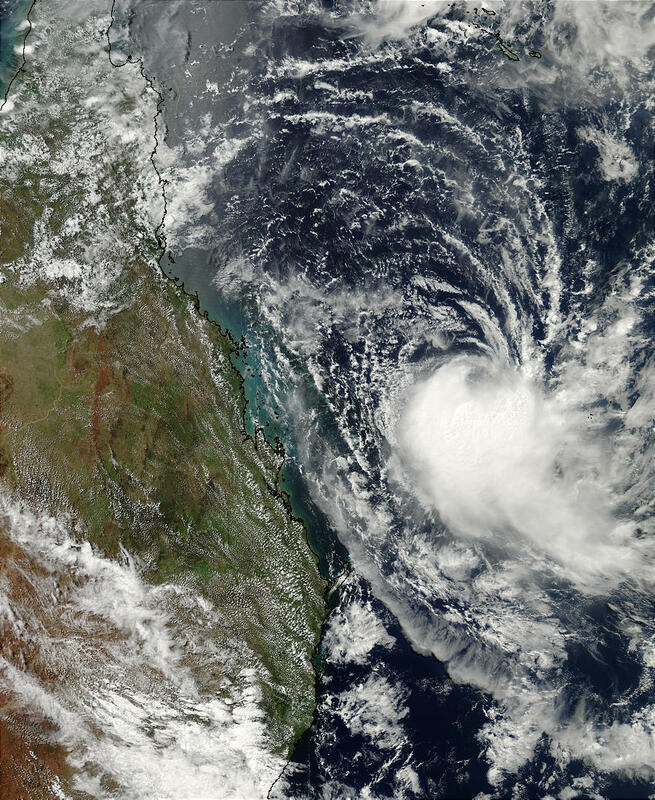 At the time this true-color image was taken by the Aqua MODIS instrument, Erica was packing 30 knot winds (1 knot = 1.15 mph) and was approximately 621 miles east-southeast of Cairns, Australia, and moving towards the north-northeast at approximately 9 knots. Although Erica didn't make landfall, she did help bring scattered rainfall and moderate winds to the coast.